This brief, thought-provoking text evaluates the performance of recent presidents from Johnson to Bush, finding that, overall, each has failed to live up to public expectations. 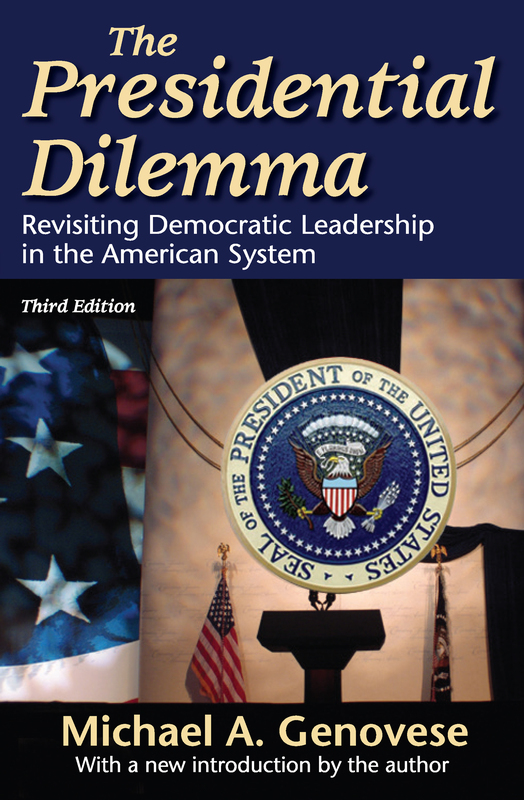 Written by one of the top presidency scholars today, The Presidential Dilemma reflects on the idea that as our country's problems grow, our politicians seem to shrink. Arguing that American presidents of the last 40 years have largely failed to meet the needs, expectations, and responsibilities placed upon them, the book discusses how presidents might better maximize their opportunities for leadership and suggests a distinctive theory of presidential politics: presidents, facing a system of multiple veto points, seek to maximize power and influence.The third edition of Genovese's stimulating book is thoroughly updated to reflect presidential development in recent years, and a new introduction brings his arguments current. As he demonstrates, the emergence of democracy as a new social and political paradigm undermined traditional authority and legitimacy. Subjects no longer automatically follow; now citizens must be persuaded. They may give to a leader their authority and power, or not. As Genovese notes, in a world of mass consumerism, those wishing to lead have precious little to offer by way of inducement.Genovese's goal is to examine the reasons why the performance of recent presidents has been underwhelming, discuss how they might maximize their opportunities for leadership, and ask a key question: Can presidents be both powerful and accountable? The book follows a clear format and tries to show why America's officeholders have so rarely been leaders and how presidents can become leaders instead of mere officeholders.